What Is The Downside Of Pricing Your Bend Oregon Home Too High? In 2014 we’ve seen many homeowners in Bend who received multiple offers on their Bend Oregon Homes but just because one person may be able to get more money for their home doesn’t mean you will too. Today’s Real Estate market has smarter home buyers than ever before thanks to the Internet and websites like Zillow, Trulia and Activerain. When a home buyer looks your home up online they will easily know within 5 minutes if it’s overpriced and they will lose interest in submitting an offer. Another consequence of over pricing a home is that it will become “branded” as a problem house if it sits on the market for a long period of time due to lack of interest from buyers. It doesn’t matter if your home is in great shape, and was recently remodeled. 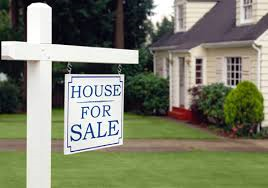 Your house will stick out like a “sore thumb” and it will be difficult to sell it thanks to the home being overpriced. Last of all, but most important, let’s say someone decides to submit an offer on your home but that buyer has financing. If their lender appraises your home for more or less than it’s worth they may not be able to lend the borrower the funds they need to submit an offer on your home. For more Real Estate tips follow our blog today. To learn more about the Bend Oregon Real Estate market, or to view homes for sale across the area, contact Birtola Garmyn Real Estate today by calling us at (541) 312-9449 or click here to contact us through our website.